Tim is a graduate of Columbia College and the Columbia Graduate School of Business. He has been investing in private equity since joining Jeff Collinson at the Schroder Ventures US operation in 1984. 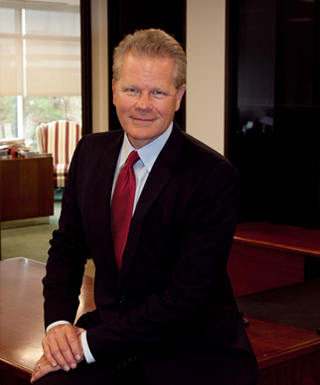 He went on to form Collinson Howe Venture Partners (“CHVP”) with Jeff Collinson in 1990, and co-founded CHL Medical Partners in 1997. Tim has co-managed several venture capital portfolios, including two funds at Schroder Ventures, Biotechnology Investment Group LLC, CHVP’s portfolio and the CHL Medical Partners group of funds. Tim has been an active investor and board member responsible for numerous early stage venture investments in the biotechnology, medical device and services areas, including Innotech, Inc. (went public NASDAQ: IIII before sale to Johnson & Johnson), Camitro Corporation (sold to ArQule, Inc.), Medicus Insurance Holdings (sold to NORCAL Mutual), RxCentric, Inc. (sold to Allscripts, Inc.), Alexion Pharmaceuticals, Inc. (NASDAQ: ALXN), Opgen, Inc. (NASDAQ: OPGN), and Medmark Services, Inc.
Tim has been a director of nearly thirty companies. He also has been an Adjunct Assistant Professor at Columbia Graduate School of Business since 1995, teaching venture capital management. Tim can be reached at thowe@chlmedical.com.